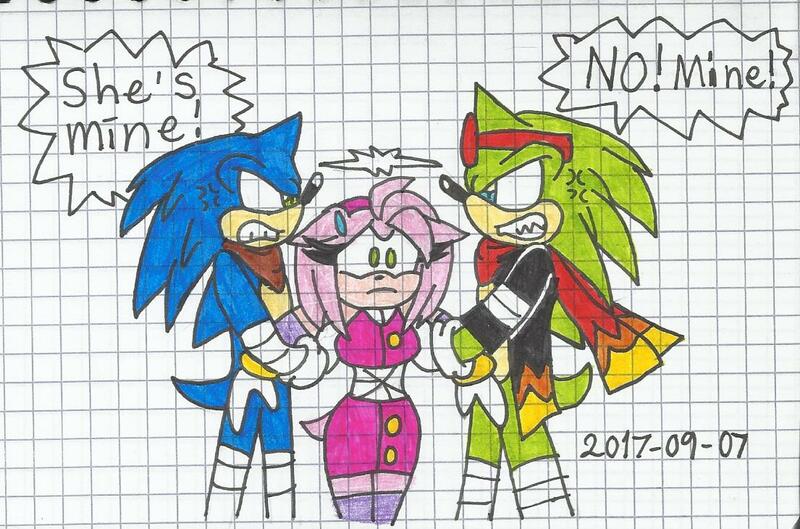 Boy, Sonic and Scourge sure are fighting over Amy. Jashmir: - Boys, keep dreaming. That Amy is mine.